A record breaking 40 million boardings on public transit in October in Metro Vancouver! Transit ridership in Metro Vancouver smashed a new record in October, with more people riding transit than ever before. When illustrator Autumn Quigley first moved to Vancouver, the diversity of the city really appealed to her. So, when the time came to design a transit etiquette illustration for TransLink, she went back to this cultural aspect of her new home. Autumn is a recent graduate who majored in illustration from the Emily Carr University of Art + Design (ECUAD), whose artwork depicting transit etiquette is currently displayed on our transit system. TransLink’s recent collaboration with ECUAD aims to take a look at transit etiquette through the eyes of students who are also transit users themselves. More than 40 students of the fourth-year illustration course at ECUAD, taught by Professors Justin Novak, Amory Abbott, and Daniel Drennan ElAwar, brought their own sense of creativity to the project. Autumn chatted with our social media team about how art in public places serves a purpose. For Kimberly Parker, art isn’t just a hobby. As a recent graduate who majored in illustration from the Emily Carr University of Art + Design (ECUAD), Kimberly is one of the six students whose artwork depicting transit etiquette is currently displayed on our transit system. 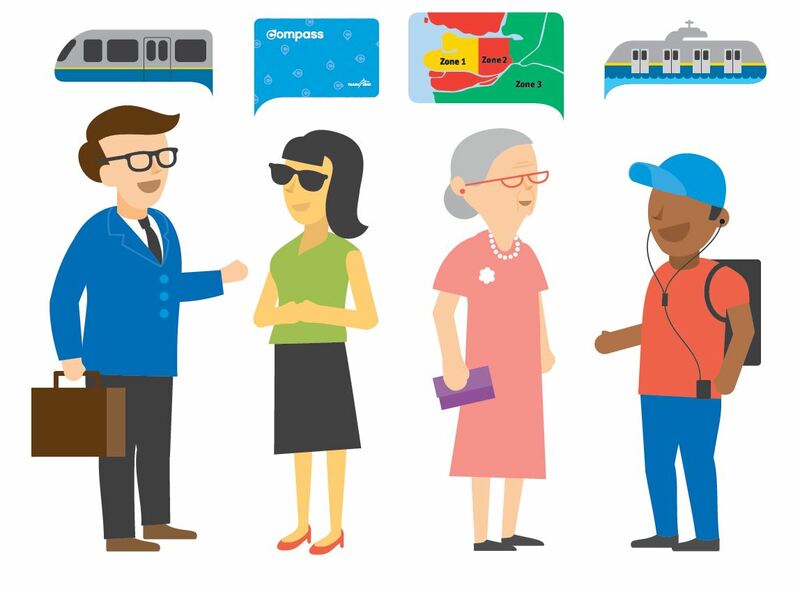 Kimberly chats with our social media team about why transit etiquette is important. If you take public transit, you probably have a pet peeve, right? That guy who’s talking loudly on the phone the entire time, and now everyone on the bus/SkyTrain knows why he broke up with his significant other. Those folks occupying priority seats and ignoring senior/pregnant/people with mobility issues/people with invisible disabilities – anyone, who could really use that seat. What about those with huge backpacks? We are sure some of you were hit by one of those flying backpacks and the owner never realized it. When it comes to public transit, etiquette is paramount. How you behave on transit is a reflection of your ethos. With Seth Rogen as our guest voice on transit, we aimed to shine the spotlight on transit etiquette. And now with this collaboration with Emily Carr University of Art + Design (ECUAD), we aim to take a look at transit etiquette through the eyes of students who are also transit users themselves. Links and tidbits is our semi-regular roundup of interesting fodder about transportation from the last few weeks or so. If you have links to contribute, put them in the comments, or email us. » A peek into the past as Rome’s latest subway dig unearths ancient artifacts. » Check out some of these rents near busy NYC subway hubs. Can anyone say STICKER SHOCK?! » Public transit = the great equalizer, connecting people from all walks of life! » Major #TBT for the TTC when the Yonge Line opened in 1954! » Meet the innovative musician who makes every second count on NYC’s subway. » Toronto gets comic-fied with a special nod to the TTC! » Good samaritans to the rescue on transit. » Being nosy on the subway was no problem for James “Smelly” Kelly. » Need some tips to make your commute more enjoable? Here are 11 ways to boost your transit ride. » Naomi Watts just cruising around on New York’s transit system. Snapping pics people snapping pics of her! » A first (to my knowledge!) as Berlin declares subway stations as historic monuments! » The Weeknd is paying homage to his hometown of Toronto in a new video with his co-star, the TTC subway! » Suprise – Subway rave! Would this ^^ delight or deter you? » What does it mean to rely on public transit? Read these people’s stories. » Who owns transit data? Most transit agencies have open source data but Germany chooses not to do this. Where do you stand? » 10-year-old goes from selling napkins in Cairo subway to launchin his own art exhibition. 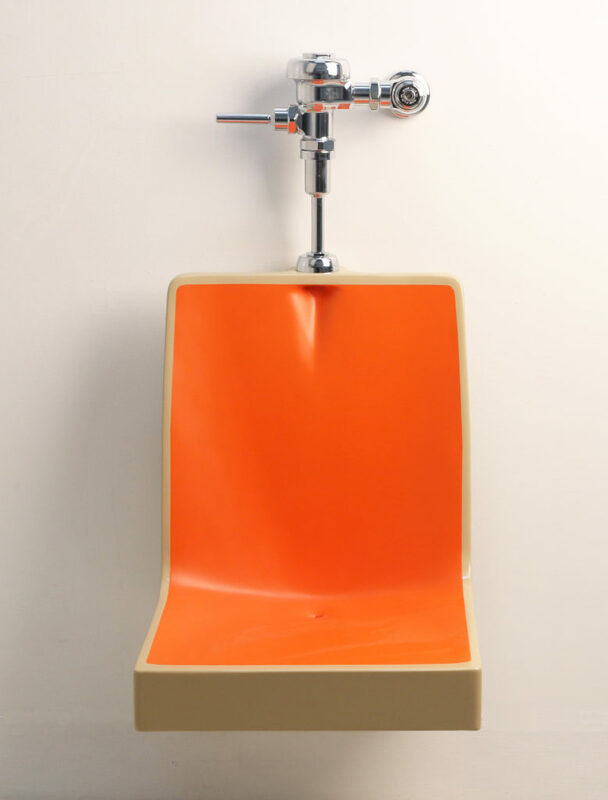 » Subway seat urinal or urinal subway seat? Art. It’s subjective! » What beautiful Moscow subway car art. These are reproductions of 78 notable Russian artists’ works showcased on their public transit. » Finally, please enjoy these awesome “slow-tv” GIFS of NYC subway from 1905-1980s. Did anyone else see that? Wait, are those raccoons at my bus stop? 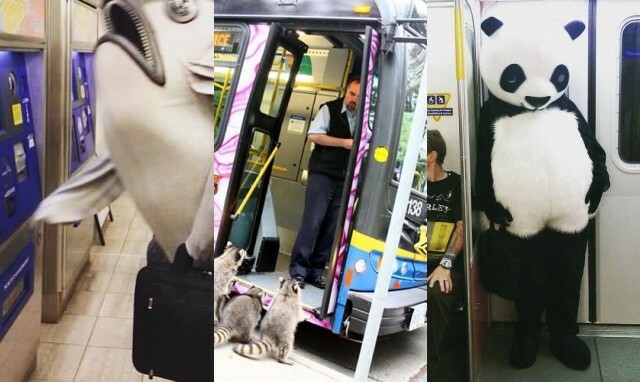 Is that a panda taking SkyTrain? Yes, anything that makes you say, “What?! ?” We want to know about it. Welcome to a new series on the Buzzer blog and our social channels that will bring a little more fun to hump day – What Wednesday! As commuters, we often see some weird and wonderful moments on transit and since so many of us have smartphones, so, let’s share these wacky snapshots. Why? Because who doesn’t want to see a giant fish with a laptop bag buying a transit ticket?! Please respect people’s privacy and try not to capture faces or any personal identification. Be kind. This is a fun series – no trolling allowed! Be safe! No hopping onto the guideway or running to the front of the bus to grab the shot. Use the hashtag #TLWhatWednesday on Instagram and we’ll choose one lucky photog to be featured on our social channels each week! Check out TransLink’s Instagram channel to see our first post! Now, go out there and find us some whaaaaaaaaaaaaaaaaat????? Another edition of My TransLink coming atcha’! ICYMI: My TransLink is a rider-focused series where we want you to share your transit photographs from across the system on social media and in turn, we share your amazing pics right here on the Buzzer blog. Basically, this is all about you! Let’s see what you’ve captured over the last few weeks! Morning Production way ❄️☀️❄️☀️❄️ have a nice productive day everyone ???? Want to be featured on the blog? You know you do! It’s easy! Simply follow us on Twitter and Instagram, tag us and use the hashtag #MyTransLink. Fare Review Phase Two starts January 30, 2017! In 2016 TransLink began an in-depth look at our fare structure as we kicked off our Fare Policy Review. In Phase One, many of you agreed that it’s time to take a fresh look at the way we price transit in Metro Vancouver. Now, the second phase of the review is starting and we want to hear from you about these options! Join the discussion on our new online forum. As part of the second phase, we’ve launched a brand new discussion forum, moderated by our very own Fare Review experts! The forum is a great place to share ideas, ask questions and learn more about potential fare options. Don’t be discouraged if some discussions seem too technical – asking someone to explain is a helpful way to deepen everyone’s thinking. If you’re a serious transit fan, on the other hand, you’ve found your playground! Based on the feedback you give us in Phase Two, we’ll narrow down to a short-list of options to bring back to you later this year in Phase Three. At that point, we’ll also begin to map out the options for varying fares by product type and user type sot tht we can bring forward a complete package for review in Phase Four. For more information on our current fare structure visit translink.ca/farereview. Have questions about the Fare Review? Email farereview@translink.ca. Our riders and community neighbours take some of the best photos of our region and transit and we love to share them on across our social channels. Use the #MyTransLink hashtag on Twitter and Instagram to get our attention. Make sure that your profile is public so we can see your post. Every few weeks we will post right here on the Buzzer blog some of the best shots from around Metro Vancouver. Please note: Profanity or inappropriate content will not be shared. This is simply a way to showcase the wonderful creativity and keen eyes from all of the budding shutterbugs so get out there and get snapping!